Let Us Save You Money on a Great Ride Today! There's no way to properly thank the men and women of the U.S. Military – we know that, so does GM. But as a small token of our gratitude for all you have done for our country, we are extending a great discount on our top Chevrolet cars, trucks and SUVs. Army, Navy, Air Force, Marine Corps and Coast Guard are all able to take advantage of these amazing deals on America's favorite lineup of vehicles! Veterans within 3 years of their discharge date. Retirees of the U.S. Army, Navy, Air Force, Marine Corps and Coast Guard. You'll be able to select from many of our top 2019 and 2018 sedans, coupes, trucks and more. The list includes the new Chevy Camaro, Suburban, Tahoe, Trax, Volt and several others as well. Curious how it works? It's easy! You'll simply log in with your ID.me username and password. Once your identity is verified, you'll follow a few simple steps to attain an authorization number, which you'll bring in with your driver's license to our Chevy dealership near Arlington, TX. It's that simple! If you still have any questions or you want to learn more, you can reach out to our team anytime and we'll go through everything with you step by step. 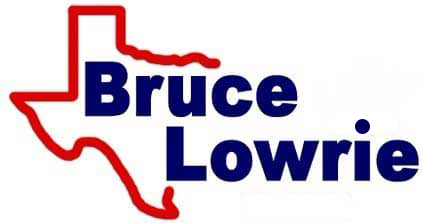 At Bruce Lowrie Chevrolet, we pride ourselves on providing an unforgettable experience for our customers. Whether you're buying or leasing from our Fort Worth, TX showroom, speaking with our in-house financing team or dropping off your vehicle at our certified maintenance center, you can count on receiving the highest quality of service available every time you visit us. That's what you deserve and that's what we deliver. So when you're ready to take advantage of our great deals and want to see just how much of a discount you qualify for, head down Bruce Lowrie Chevrolet and speak with any of our wonderful staff members. We'll get you behind the wheel of your dream Chevy today!